Camping isn't often a top choice for many city slickers who are looking for a short getaway. 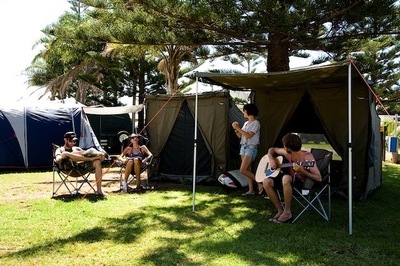 Perhaps it's the idea of being away from technology or not having the same luxuries of a five-star hotel, but now destinations like Sundowners Breakwall Tourist Park in Port Macquarie and Sundowner Tiona Tourist Park in Pacific Palms are accommodating for these 'glampers' – glamours campers. 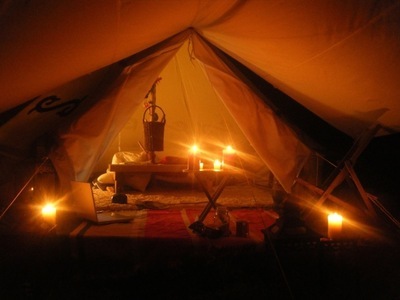 Glamping – glamorous camping – is the latest for those who love a holiday or quick getaway without breaking the budget, such as traditional camping offers, but with the added luxury of bug spray, the ability to charge iphones, straighten hair, cook breaky with the freshest ingredients, and hop into the spa. In addition to a full-sized mattress, warm shower and easy access to local cafes/restaurants/bars to enjoy a fine meal or cocktail. Sundowners Breakwall Tourist Park in Port Macquarie occupies walking distance to the Twon Beach and Hastings River, as well as to the cosmopolitan town centre. Activities can range from kydiving, wakeboarding, kayaking with dolphins and surfing. But there's also nearby restaurants to occupy the discerning glamper, including fresh barista made coffee for the morning. Alternatively, there's Sundowner Tiona Tourist Park in Pacific Palms where glampers can explore the scenery between Seven Mile Beach and Wallis Lake. It's also the perfect spot to enjoy water sports like kite surfing, snorkelling and surfing. hi .could u tell me to know about price? Ocean beach caravan park on Umina beach has some awesome tents set up for 'glampling'!